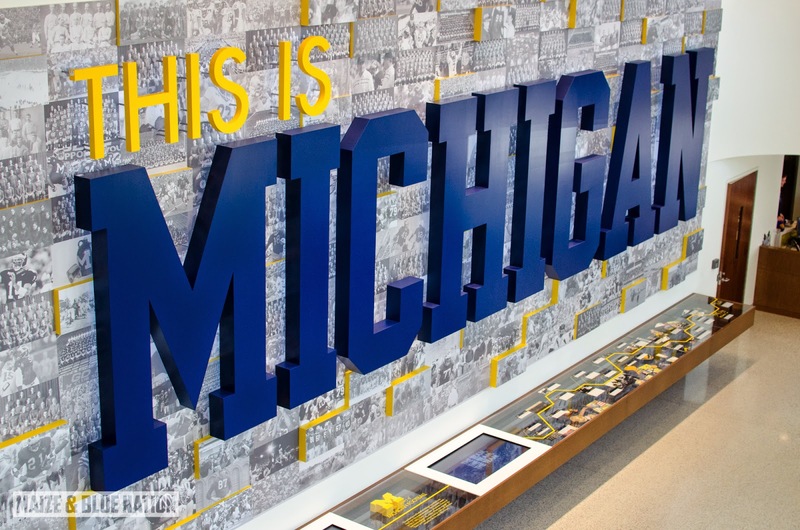 With the dead period still in full effect, which 2015 recruits are scheduling visits to Ann Arbor later this month? The coaching staff extended two offers this week, who was on the receiving end? Which 2015 dual lineman released a Top 5 with Michigan included? Find out in this Fridays version of "The Future Huddle." Although the recruiting "dead period" is still in full effect, Jim Harbaugh and his new coaching staff have wasted no time hitting the recruiting trail. The hiring of Harbaugh has had such a massive effect on recruiting that recruits that were not even considering Michigan a few months ago are lining up to schedule last minute visits. In November, Michigan's 2015 recruiting class looked as if it could be one of the worst in the country. Now, Michigan has the chance to still land a Top 25 class and could very well be on the way to flipping some big named prospects. January is turning out to be arguably the biggest recruiting period of the year other than "Under the Lights 3" when Michigan took on Penn State in Ann Arbor. Although no recruits committed during UTL3, the event showed off Michigan's ecstatic atmosphere and peaked the interest of some recruits. However, January will be a little different. There is no game to be played, the weather is less than favorable and recruits will only have a few short weeks to determine which school is the best fit for themselves. 2015 TE/DE Tyrone Wheatley Jr.
After watching Charles highlight film, I find it hard to believe he's only a 3 star prospect. Although he doesn't possess top end speed, Charles does an excellent job of shedding blocks and getting into the backfield. Charles is a play-maker. He is constantly making plays near the ball and looks as if he could be a force at the next level. Although he does make a lot of tackles, I would like to see him get a little lower when making contact. Some of the tackles he makes, it looks as if the ball carrier could break off for additional yards. He plays a little reckless on some plays and other plays looks like he has the talent to be a 5* recruit. Does a good job of wrapping his hands around the ball carrier. Extremely strong and often doesn't get blocked for too long before shedding and chasing ball carrier. Standing at 6'5 and weighing 232 pounds, Charles won't have to add on additional weight once he ends up in college. Wherever Charles end up playing his collegiate career, if he has the right mentoring and develops properly, I could see him making an impact throughout his college career. "I talked to Coach Mattison and he told me I had a scholarship offer," Omenihu said. "Michigan is a program I wanted an offer from since I was a kid. They are a very prestigious school. Coach Harbaugh is a cool guy too. I know he has a plan for them and it's a plan I believe in." Charles is rated as the #17 WDE in 2015 according to 24/7. Also on Tuesday, 2015 CB Damon Arnette was offered a scholarship from the coaching staff. Arnette, who is currently committed to South Carolina, was invited to the Army All-American game last weekend and impressed. Going against some of the best talent in the nation, Arnette was able to shine in 1on1 drills and looked like he belonged on the field with the nations best. Damon is excellent in man-on-man coverage. Although his back pedal speed isn't necessarily top end, he does a good job of getting back and then sticking to his man. He is rarely beat 1on1 and does a great job of using his hands to break up passes. Damon is rarely beaten on routes. While watching his film, the one aspect of Damon's game I was very impressed with was his ability to change directions and how quick his hips turned. Damon is able to cover over the middle, down the sidelines, or even get into the backfield on screens with ease. "My commit to South Carolina is still good"
Damon will visit Michigan on January 16th followed by official visits to South Carolina and Ohio State later on in the month. He is ranked as the #50 CB in 2015 according to Rivals. On Thursday, 2015 OL/DT Kendrick Norton released his Top 5 schools, which surprisingly included Michigan. One of the main reasons Norton included Michigan in his Top 5 list is the hiring of new Defensive Coordinator D.J Durkin. Durkin built a quality relationship with Kendrick while he was at the University of Florida, and it looks as if Durkin wants Kendrick to follow him north to Ann Arbor. Although he currently doesn’t possess a scholarship offer, I would guess that one will be coming his way in the next few days. Offensive Guard and Defensive Tackle are two positions Michigan hasn’t recruited very much this year, but with a new coaching staff arriving, it’s crucial that the current staff gets as many players as they are familiar with on the roster. Norton will certainly be recruited as a DT, but there is still a chance of him playing on the offensive side of the ball. My personal feeling is that he would be better suited to play Defensive Tackle. He has a body built for the position and has all the necessary attributes that go along with a quality defensive lineman. He’s built big enough were he can cause disruption up the middle and cause the ball carrier or quarterback to make a play on the outside of the line of scrimmage. Already weighing 305 pounds and standing at 6’3, Kendrick already looks the part of a college ready lineman. At this point in his recruitment, I would say Michigan has a lot of ground to make up with Kendrick and the possibility of him committing are slim right now. The coaching staff will certainly try and get him for an official visit later this month and that should gauge how much interest is there for both sides. 2015 QB Alex Malzone and ATH Brian Cole officially enrolled at the University of Michigan on Monday. 2016 RB Kentrail Moran received a phone call from Coach Mattison last Friday. Former 2015 RB commit Damien Harris committed to Alabama today. Harris decommitted from Michigan last January. 2016 QB commit Messiah deWeaver transferred Trotwood-Madison to Wayne High School this week. Wayne High is also home to current 2015 S commit Tyree Kinnel.